April has arrived and we're brimming with excitement—the Kentucky Derby is right around the corner! 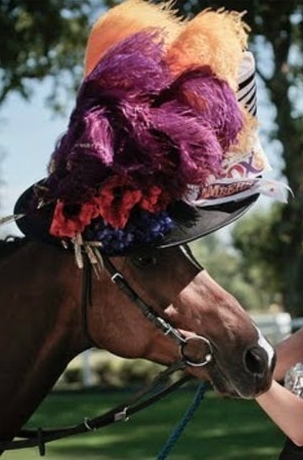 Some may love the horses, but everyone loves the wacky hats. So dig through your hat boxes and pull out the one that you know will put you ahead of the pack! We’ll be awarding prizes for first-place and runner-up in each of two categories: 1) Craziest Hat, and 2) Most Derby-worthy hat. First-place winners will receive $10 to their choice of Starbucks or Amazon, and runners-up will receive $7 to the same. Please RSVP and pay by Monday, April 23. Please note: a limited number of seats may be available after Monday, April 23, but be sure to register early because the price increases to $20 on Tuesday, April 24. If you have any dietary restrictions, please note them in the box below. The ASBI Young Professionals Committee organizes Shabbat dinners and social events for young adults in their 20's and 30's.